A giant badass Polish chick asserts himself, in all his badass-ness. 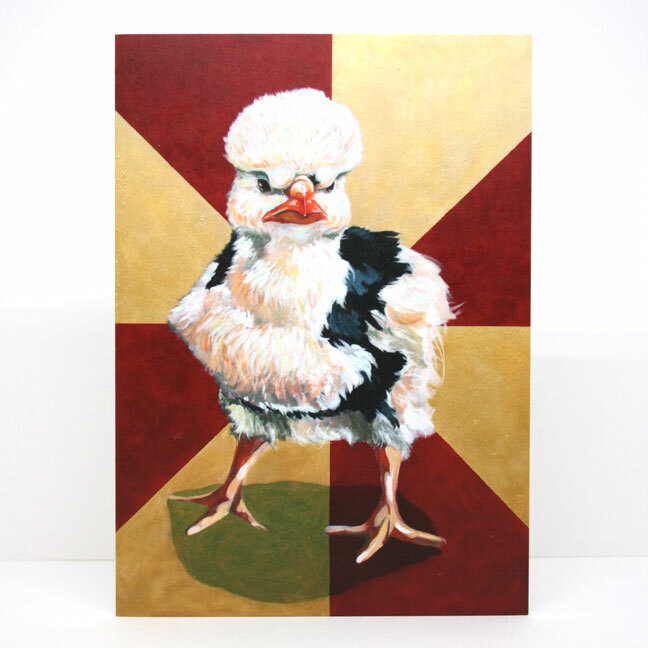 A perfect gift for people who love chickens or just need a smile. Original Painting was five feet tall!